I feel privileged when a mom-to-be trusts me to capture these incredible moments of promise that make being pregnant such a wonderful time (even if that wonderful time includes swollen ankles and a dwindling wardrobe!). You can see from my portfolio and my maternity blog posts how different each maternity photo shoot can be. I enjoy personalizing each session, and want this experience to be as unique as your pregnancy. My work ranges from the playful outdoors to intimate and private maternity boudoir. As your maternity photographer, its my job to customize your session to be as unique as your pregnancy. What does my maternity session include? 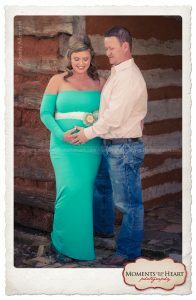 Maternity Sessions are held at our studio located on the edge of North Austin / Cedar Park near the corner of 183 and 620. You do have the option of an on-location / outdoor session within a 10 mile radius of the studio. This is one of the details you can discuss with Sandy during your pre-consultation. A pre-consultation to discuss and plan your session. Up to three wardrobe changes within the studio, time permitted. Private Viewing / Ordering Appointment at our studio. 10% Off Your Newborn Session Package when booked with a Maternity Session. How do I schedule my maternity photo shoot? Call about your session as soon as you know you want pregnancy photos! I recommend scheduling your maternity session to take place between weeks 32 and 36. I believe that bellies are beautiful at any size! However, I do feel it’s important to consider how you are feeling, and I’d like you to be as comfortable as possible. The timing is really up to you. Some of my clients have had their maternity images taken at 28 weeks, while I have had a couple of moms sneak them in right before the baby arrives at 40+ weeks. We will start with a consultation, by phone or by email, to talk about the session you have in mind. At that time, we will discuss how your clothing preferences, hair and makeup ideas, and location will help us create your finished artwork. Should you desire a location other than our studio for your maternity session please let me know in advance to discuss any additional pricing that may be involved. Each Maternity Session Package includes the session fee as well as product. There is a minimum investment of $400 with each session; this can be made up of digital images, prints or other products. See my pricing page for additional information. I look forward to creating beautiful keepsake photographs for this special time in your life and to a lifetime of sharing with your family. Contact me for additional information and to answer any questions you may have.